Sparkys-Answers Why Does My Car Battery Go Dead? Why Does Your Battery Go Dead? “Why does my car or truck battery go dead?” is probably the most common question asked in the world of automotive electrical repair. The reasons can be broken down into four general causes. The charging system is not working properly. There is a drain on the system. 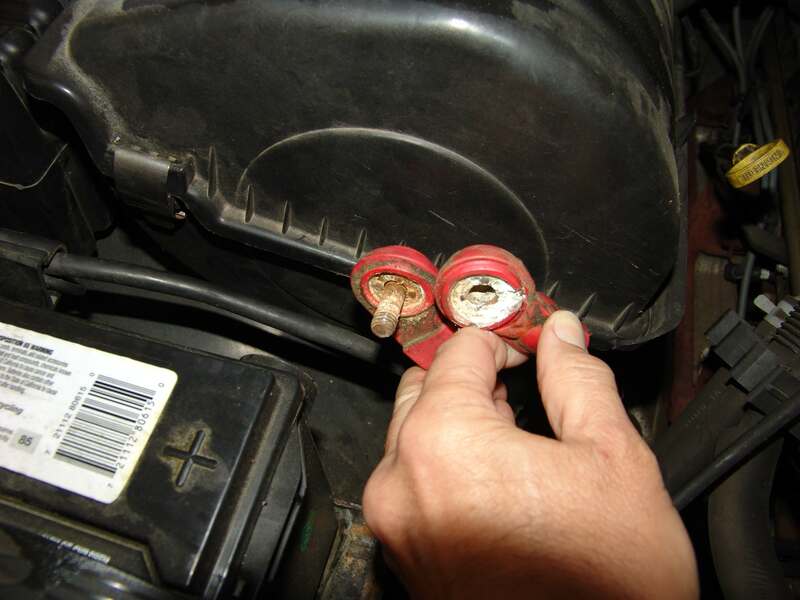 The very first bit of inspection and or testing should be to check the condition of the battery terminal connections. All other tests are irrelevant if the connections are poor. The following images are of clearly poor connections. The appearance does not have to be nearly as bad for the result to be the same. Remember that each cable has at least two ends and sometimes the poor connection is not at the battery. There can be some overlap in how the symptom presents itself so you should pay attention to the details. Investing in the proper tools to test with makes diagnosis quicker and more accurate. There are some simple things that can be done to narrow the problem down though. Does the battery go dead while the vehicle is being driven or while the vehicle is parked? The battery going dead while driving scenario is generally associated with driving along and minding your own business when you start noticing things going on like: the battery light comes on, the headlights get dim, the radio cuts out, the turn signals stop flashing, multiple warning lights come on in the dash, the engine stalls and will not restart without a boost/jump start. These symptoms all leading up to the resulting dead battery indicate that there is something wrong with the charging system. The charging system fault could be caused by a faulty alternator or generator, a damaged or missing drive belt, faulty voltage regulator, cable connections, wiring problems, blown fuses and faulty control systems. Rarely a battery can have an internal short that the charging system cannot overcome. The battery will be every hot to the touch and there may be a lot of out gassing (rotten egg smell) present. The battery going dead while sitting complaint is generally associated with no noticeable problem until you enter the vehicle and find that the battery is dead. The time frames involved in this scenario play an important role in diagnosing the problem. If the battery is dead shortly after the engine is intentionally turned off it is highly likely that the battery is bad. If the battery is dead 8 to 24 hours later, the battery is still the most likely cause but now there is a chance that there may be a significant drain on the system. If the battery is dead in 24 hours to several days of the vehicle sitting the battery could still be faulty but the chances of a drain on the system being the problem go up dramatically. Regardless of the time frame, if the engine starts immediately and crisply after a proper boost/jump start it increases the chances that the battery is bad. If shortly after turning the engine off, the engine is slow to start and the starter sounds like it is dragging after being properly jump started the battery could still be faulty but the chances go up that it is a cable or starter issue and not a battery. If there is a rapid clicking or chattering sound at the starter area when trying to start the engine there is a low voltage condition. Most of the time the problem will be poor cable connections or a faulty battery. I will be building on this article overtime so expect changes or additions to the above content. If you want to add to the discussion please sign up for a basic membership to enable that function. Okay, you go out to your car or truck to start it and you are now faced with what appears to be a dead battery. What do you do first? Unless you happen to have a voltmeter in your hand you should turn off all power consuming devices. Especially those that make noise. Then turn the ignition switch off. Now with your eyes and ears wide open and ready for observation turn the ignition on. Do not try to start the engine at this time. Do all of the dash warning lights come on like they normally do? 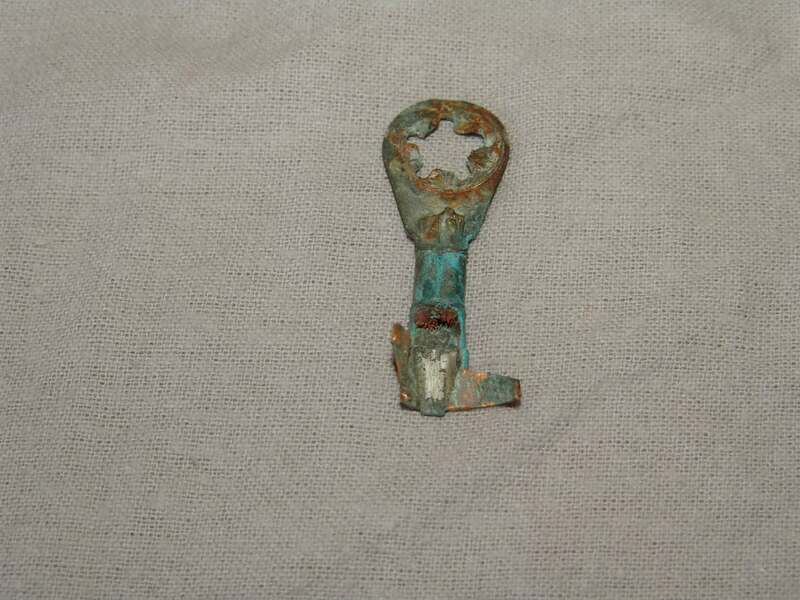 Do you hear and type of clicking, ticking or chattering noises? Assuming all is normal, slowly turn the key to the crank position. What do you observe? If you hear a rapid clicking or chattering sound as the key is held in the crank position and the dash warning lights dim significantly you have encountered a true low voltage condition. The potential low voltage condition can be further confirmed by turning on the headlights and observing their brightness through the key off-key on-crank procedure performed earlier. You may need assistance depending on the time of day and the ambient lighting. If the lights start off normal or dim and get dimmer as you try to start the engine you have low voltage. If they are normal/bright and only dim a very slight amount in the crank position you likely do not have a low voltage condition. No discernible noise or one solid click and a slight dimming of the dash warning lights would point more to an internal problem in the starter and not a battery issue. Sometimes this problem can be further diagnosed and temporarily overcome by boosting the battery voltage with a battery charger or another vehicle that is running. If the starter is accessible it can be tapped on with a hammer or other heavy tool in the brush area to temporarily re seat the brushes that are worn out. Now that you have determined that you have encountered a low voltage situation what do you do next? Again assuming that you do not have a voltmeter handy the next logical step would be to try and boost the battery voltage with a battery charger or another battery and jumper/booster cables. 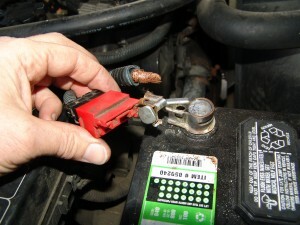 Before connecting anything to the battery take a second and feel the temperature of the battery terminals. Use a light touch as sometimes they can be very warm or even hot to the touch. If you encounter one or both that are warmer than the other or the surrounding materials you should stop and clean the battery terminals. Loose or corroded connections add resistance to a circuit. Combine resistance with a high current load (cranking the engine) and you create heat. Heat in any electrical circuit is an indicator of a problem with that circuit unless it is designed to create heat or regulate current.